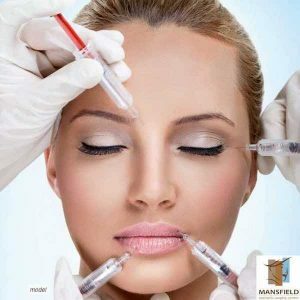 Mansfield Cosmetic Surgery Center has been performing BOTOX® Cosmetic injections since 2008 to clients living near Mansfield, Arlington, and Fort Worth. BOTOX® is performed as an in-office procedure that reduces the appearance of forehead wrinkles, frown lines and crows feet with results typically lasting 3-4 months. BOTOX® is a simple, in-office procedure that temporarily restores a more youthful look to the upper 1/3 of your face through the reduction and / or temporary elimination of upper facial lines and wrinkles. Typical injection treatments are performed near the expression lines such as the forehead lines, frown lines, crow’s feet, and nasal bunny lines. After one treatment you will notice a dramatic improvement after 5-7 days. Although results may vary, BOTOX® generally lasts 3-4 months per application. In addition, Dr. Thornton also offers Xeomin (incobotulinumtoxinA), a newer, more pure botulinum toxin approved by the FDA for reduction of facial wrinkles. 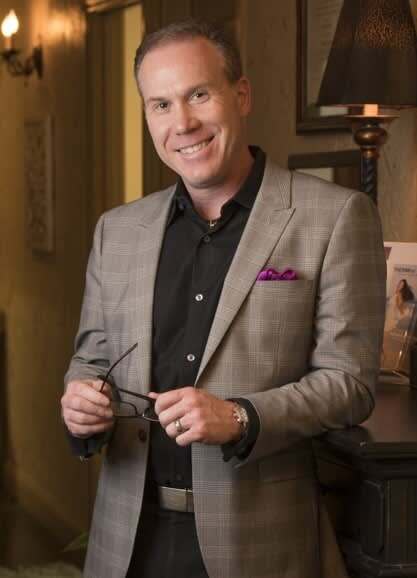 Because of Dr. Thornton’s long-standing commitment to Allergan and performing successful Botox injections for his clients since 2008, he has received both Gold and Platinum-Status in the Allergan Partner Privileges program. 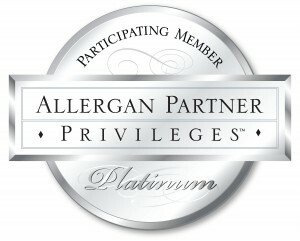 This level of Allergan partnership means you will receive one of the highest levels of professional service. Our office is a proud participant in the Allergan Brilliant Distinctions Program. This program allows you to earn points each time you receive any Allergan product including, BOTOX®, and dermal fillers like Juvederm®, Voluma®, Volbella®, and Vollure® and redeem the received points for future savings and discounts.